New Zealand’s economic growth has increased moderately, but some poor conditions have constrained the rise. In a statement issued on June 20th Statistics New Zealand announced that the gross domestic product of New Zealand for the March 2013 quarter rose by 0.3 percent, down from 1.5 percent in the December 2012 quarter. According to Statistics New Zealand, the economic activity surrounding the rebuild of the Canterbury region helped buoy economic growth, but “…the rest of the economy was a mixed bag”. The largest rise in activity was seen in the building sector and the business services sector, which rose by 5.5 percent and 3.9 percent respectively. 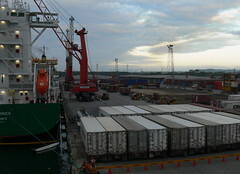 New information shows that the gap between imports and exports in New Zealand is closing. On June 19th Statistics New Zealand released the Balance of Payments and International Investment Position report for the march quarter of this year, showing that the current account deficit fell by NZD 0.3 billion over the quarter. The seasonally adjusted current account deficit for the March quarter was reported to be NZD 2.2 billion, while in the previous quarter it had reached NZD 2.5 billion. The decrease in the current account deficit was mainly attributed to an increase in the export of dairy product, both in terms of value and volume. The net exports also rose due to an increase in the amount of money spent in New Zealand by foreign tourists. Calls have been raised for the government to help the national manufacturing sector through a series of new policies and tax changes. On June 18th the leaders of the oppositions parties held a press conference in Christchurch to announce the release of a new report on the economic and taxation measures which could be implemented in New Zealand in order to boost the national manufacturing sector. 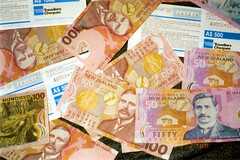 The report calls for the government to take extra steps to the reduce the volatility in the value of the New Zealand dollar, to implement taxation measures and economic incentives to encourage greater investment in businesses and not into housing, and to reintroduce tax credit for businesses involved in research and development activities. The rate of New Zealand’s OCR remains unchanged due to some unfavorable economic conditions nationally and worldwide. On June 13th the Reserve Bank of New Zealand announced that the Official Cash Rate of New Zealand will remain unchanged at the current level of 2.5 percent. The governor of the Reserve Bank Graeme Wheeler explained that the economic conditions in New Zealand and around the world do not yet warrant a shift in the Cash Rate, and the current economic forecasts indicate that the OCR will remain at 2.5 percent for the rest of the year. Summarizing the current economic environment of New Zealand Graeme Wheeler said that the economic growth of the country is expanding, but is uneven across different industries.